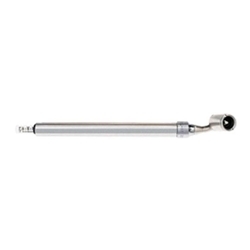 Large Bore Swivel Foot Gauge, 10 - 150# PSI Haltec GA-250S / Bowes HT 27-685. Quality Features: • Nickel-plated brass • Nylon slide bar. Easy to read. • Calibrated 10-150 in 2 lb. units • Swivels 360˚ for those hard-to-reach valves.